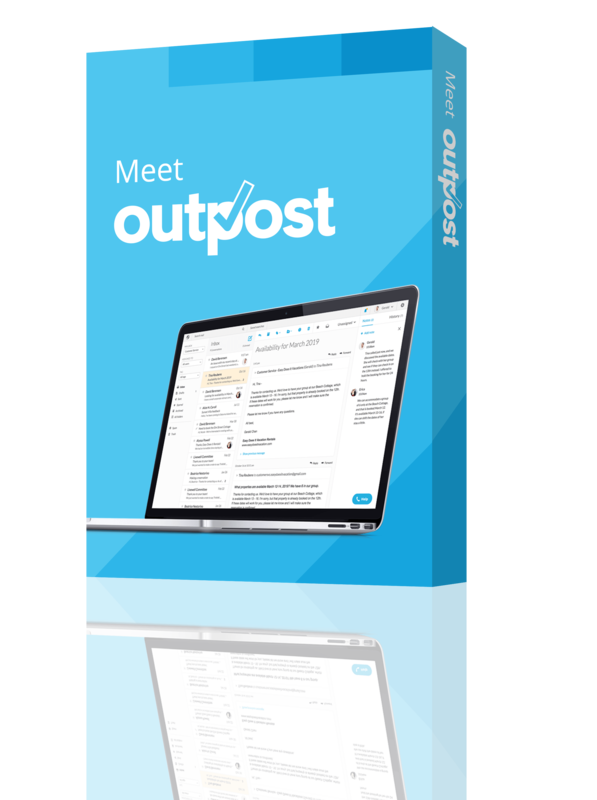 Hoping to start a high-growth startup? There are some cities that will open up more doors for you. Find out which cities are the best for startups! 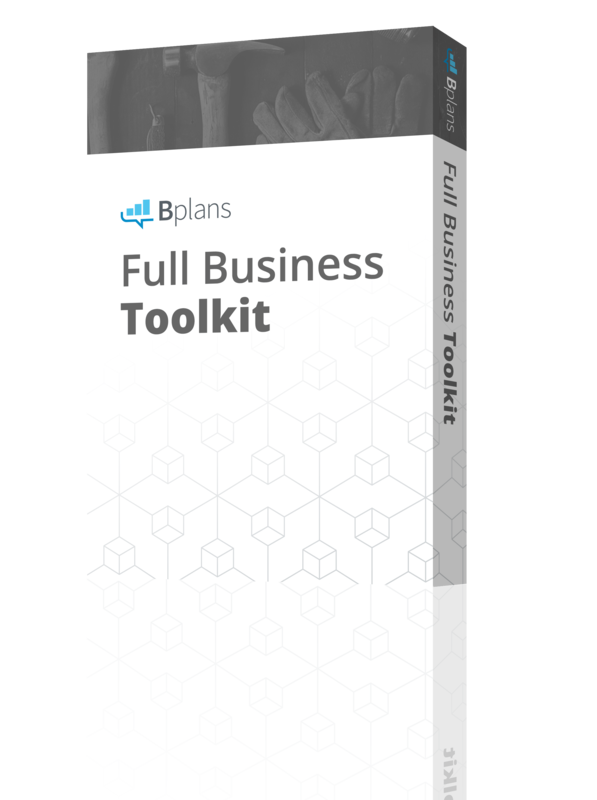 Do you want to start a high-growth startup business? If this is your goal, the rules are going to be a little different. Rather than focusing on the cities that have less expensive labor and best overall business growth (as I did in my recent article on the 10 best U.S. cities to start a business in for 2016), you will need to focus more on access to angel and venture capital funding, business incubators and accelerators, and a climate that is supportive of startups. This isn’t to say that your startup won’t be successful anywhere else, but if you’re seeking out the best place to put down roots, these cities have a startup-friendly track record. To determine which cities made the cut, I turned to Compass’s Global Startup Ecosystem Report for 2015. If you’d like to learn more about starting a business in a given city on this list and check out what each city has to offer for new startups, I’ve also included plenty of resources to help you get started. Coming in at number one (which should surprise absolutely no one) is Silicon Valley, California’s resident hub for startup and entrepreneurial innovation. While our first city on this list isn’t even a proper “city,” but rather a region which comprises several Bay Area cities, its spot is well-deserved. 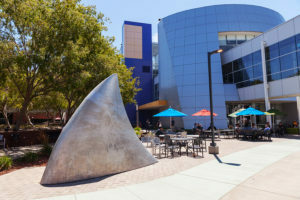 Not only is Silicon Valley home to some of the foremost tech companies in the world—Google, Apple, Intuit, and so on—but the presence of a highly skilled workforce, an abundance of investors, and a flourishing startup culture in general make it the “startup capital” against which all other cities are measured. In terms of the six metrics by which Compass evaluated each city (performance, funding, market reach, talent, startup experience, and fastest growing), the Silicon Valley area swept the board, coming in first in performance, funding, talent, and startup experience. It’s a little unnecessary to sell you on Silicon Valley; a region so notorious for being a startup hub that it has several TV shows based around the idea needs very little selling. World Best Startup Scene—Here Is Your Guide to Silicon Valley! Jumping from fifth place in 2012, NYC takes the number two spot. New York City also ranked number one in market reach and number two in performance and funding, according to Compass’s report. It is also one of the leading cities when it comes to entrepreneurial environment, research universities, and “economic clout,” according to a study on the most successful cities worldwide by PricewaterhouseCoopers. 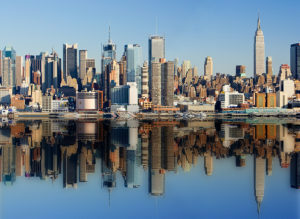 Not only that, New York City is home to “Silicon Alley,” a moniker drawn from the region claiming the number one spot. The comparison is fitting, as this tech hub is experiencing huge growth. Plus, new startups or those relocating to NYC can start up tax-free for 10 years, provided they meet certain requirements—a hugely appealing selling point. Coming in at the number three spot is Los Angeles, California. While not generally thought of as a hotspot in the same way as the Silicon Valley area, Los Angeles ranks second in market reach, and fourth in performance and funding, behind NYC. Called the next big startup market by some, Los Angeles key selling point as a startup hub is access to content production—which isn’t surprising, given the fact the content production has always been what the area is known for. Los Angeles Works: Start Your Business in L.A. 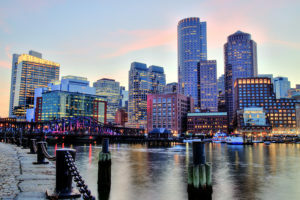 While Boston is number four on the list according to Compass, it may be poised to climb higher in the coming years. While there may be contention in terms of the exact placement of Boston in the top 10, there seems to be no doubt that it’s a great option for new startups. Boston Mayor Marty Walsh has even claimed that he foresees Boston becoming the tech capital of the world—a bold statement, indeed! 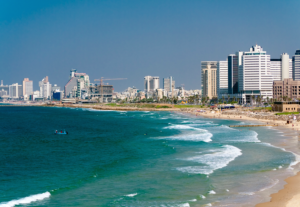 Ranking fifth overall, Tel Aviv comes in at number three in terms of availability of talent, and number five for funding. Often called the “startup nation,” Israel is experiencing a boom in startup activity, making it an appealing place for budding entrepreneurs who wish to be a part of a rapidly growing hub of startup activity. In fact, Israel attracts more venture capital per person, per capita than any other country in the world—and that fact alone might be enough to influence budding entrepreneurs to check out Tel Aviv. 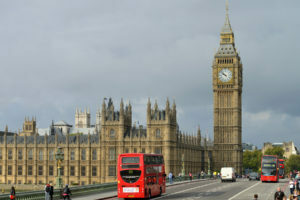 Coming in at number six is London, England, which ranks third for the metrics of greatest market reach and fourth for fastest-growing. Additionally, as found in PricewaterhouseCooper’s most successful cities study, London ranked second in the world when it comes to attracting job-creating foreign investment. Considered the “tech startup capital of Europe,” the scene in London is growing rapidly, and a strong financial presence also makes London an attractive location for fintech startups. That being said, the tech scene in London is still, by some accounts, in its infancy—which may be a pro or a con, depending on how you look at it. 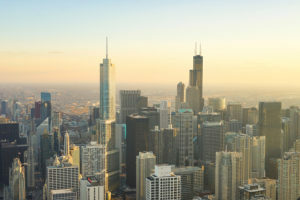 While Chicago ranks seventh overall according to Compass, it has also been ranked number two on the Inc. list of top cities with fastest company growth, beat only by New York City. In fact, since 2012, Chicago jumped up in the rankings all the way from the number 10 spot to number seven. Chicago also ranked second, according to PricewaterhouseCooper’s successful cities study, in terms of entrepreneurial activity. At number eight according to Compass, Seattle ranked third for startup experience, and fourth for available talent. While Seattle is weakest in terms of its venture capital availability, this is poised to shift in the coming years, as Seattle’s venture capital is growing 40 percent faster than the national average. 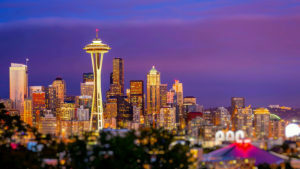 As a longstanding player in the tech scene, with companies like Microsoft and Amazon calling Seattle home, the tech sector of the startup industry in Seattle is currently the most vibrant. 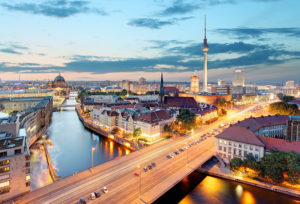 Berlin jumped up the list, going from number 15 in 2012 to number nine in 2015. This jump to the top ten is indicative of Berlin’s recent startup growth; while the city may not be one historically thought of as a startup hub, this appears to be changing. Creative businesses are attracted to Berlin, a city where photography and fashion startups rub shoulders with the requisite tech startups. Not only that, but Berlin raised more venture capital funding in 2015 than did London, a sure sign that the startup ecosystem there is growing. Climbing from number 17 to enter the top ten, Singapore also marks the only region on this list outside the U.S. and Europe to have a flourishing, top-ten startup scene. Singapore’s rise as a startup hub can be attributed to government support, a hospitable environment for startups, and a diverse and inclusive startup community. 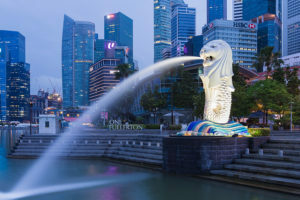 In fact, numerous government programs have been implemented in recent years to stimulate the startup sector, a factor that makes Singapore’s startup climate unique. However, the startup community in Singapore is still in its early growth stages; although it is considered by some the “Silicon Valley of Asia,” those in the industry predict that it will take some time before Singapore gets its footing as an established, strong startup hub. That being said, if you wish to plant your business at the center of a growing ecosystem, Singapore is one to consider. Did your city make the list? Would you relocate to a new city to get your startup off the ground? Share this article on Twitter or Facebook and let us know what you think!